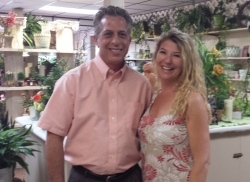 A New Leaf is a full service interior plantscape company. We specialize in creating green spaces and customizing plant designs specific to our customers needs, desires and environments. Our Retail Showroom located at 102 Bishop Street offers both live and silk plant arrangements, decorative cachepots, designer wreaths, assorted metal containers and special gift ideas. A New Leaf was established in 1976 and is the Triads foremost interior plantscape and guaranteed plant maintenance experts. Our reputation continues to be built on excellent customer service, prompt response time, and the best quality products available. A New Leaf takes great pride in decorating the most premier organizations in the Triad. BB&T, Embassy Suites, Wake Forest Baptist Hospital, and Wells Fargo are just a few of our corporate clients. 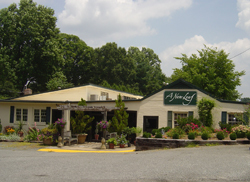 A New Leaf also services private businesses, residences, country clubs, senior living spaces and anywhere there is a desire or need for green spaces. When Christmas arrives our holiday designer, with her merry elves deck the halls. Our business is to make your business look good. We create healthy green environments. Why plants? A New Leaf interior plantscapes provides value that makes “cents”.